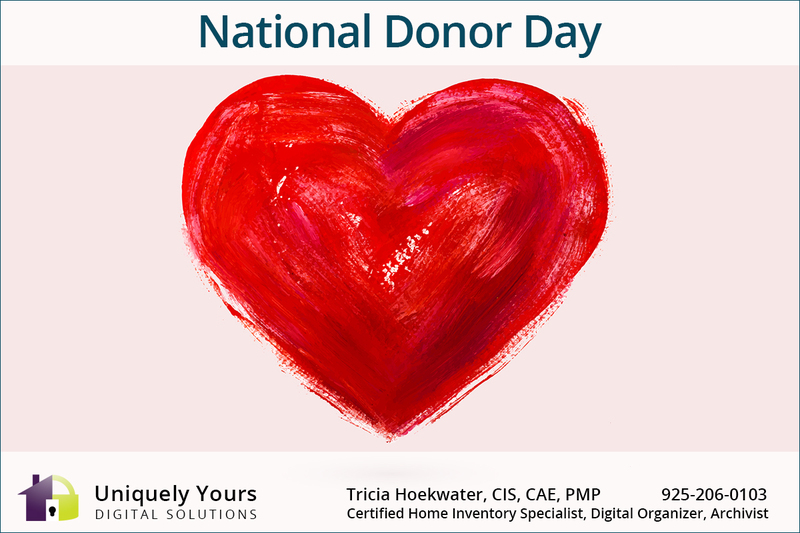 NATIONAL DONOR DAY: February 14th is National Donor Day, which aims to raise awareness of the lifesaving benefits of organ, eye and tissue donation while reminding of the importance of discussing the topic with your loved ones. We encourage you to use National Donor Day to discuss organ, eye and tissue donation with those closest to you. Take care of yourself…your family…and what you own! Get a home inventory today. Contact Tricia via phone at 925-206-0103 or by email: uniquelyyours@outlook.com to schedule your inventory today.